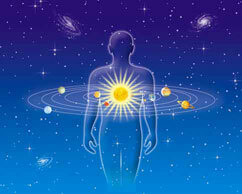 Indian astrology is popularly known as Jyotish or Indian Vedic Astrology. A major branch of astrology practiced in India is based on a side real zodiac, rather than a tropical one. It uses the twelve constellations from Babylonian, but also has an additional "lunar" zodiac based on 27 lunar constellations or Nakshatras. It takes in consideration Place, Date and Time of birth. Indian (Vedic) astrology, is very ancient astrological system, somewhere around 5000 years old by conservative approach considerably better from the western system. Indian astrology is also known as Jyotisa, a word has derived from the Sanskrit "JYOTIS" which means light or heavenly body. According to Indian (Vedic) Astrology system, events of life of every person is based on the position of planets at his / her date, time and place of birth. This system generates a very different birth chart as compared to the western astrology system. Consultation services broadly includes: Marriage, Marital, Harmony & Compatibility, Rectification of Birth Charts / Horoscopes, Profession, Professional Status, Education, Higher Education, Financial Stability, Progeny, Health, Child, Relationship / Love Life, Emotional Stability, Travel, Gains & Fulfillment of Desire, Investments, Stock Markets, Inheritance, Early settlement of life, Spiritualism, Astral Remedies and every aspect of life. Please make sure that Date of Birth, Time of Birth and Place of Birth are mandatory for casting your Birth Chart / Horoscopes and all consultations/predictions will be provided after interpreting your Birth Chart / Horoscopes manually and personally.